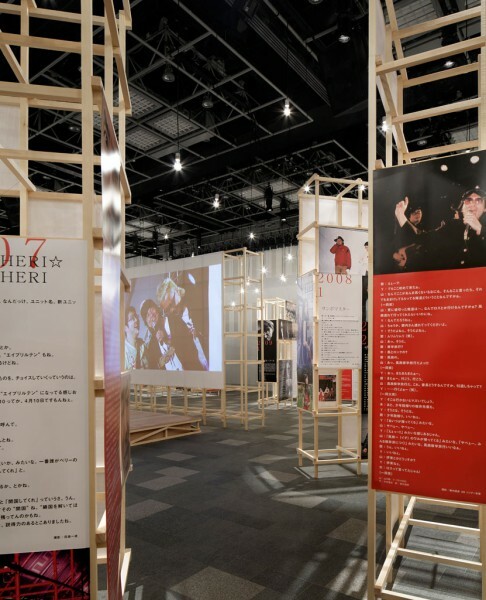 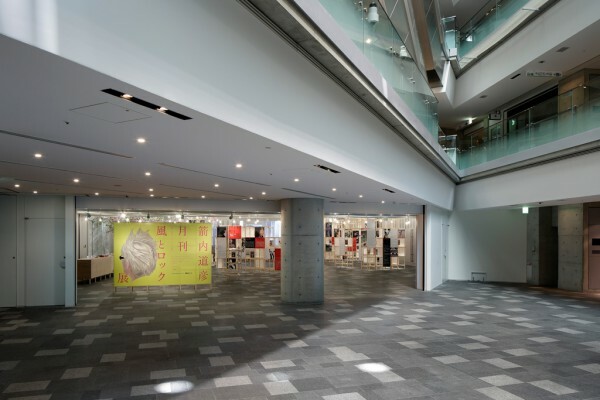 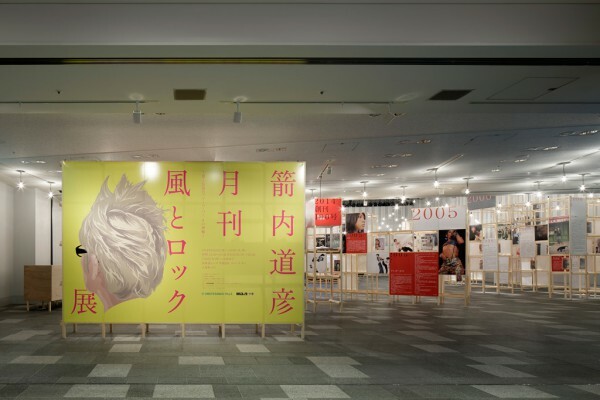 We dressed the venue for the exhibition celebrating the 100th issue of free monthly magazine "Kaze to Rock" helmed by creative director Michihiko YANAI. 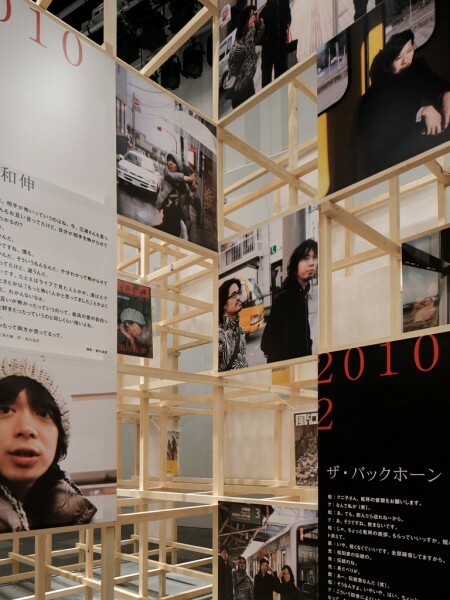 We aimed to create a venue dressed with only the photographs and texts shot and compiled from interviews by YANAI himself, which have been published in the previous 99 issues of the magazine. 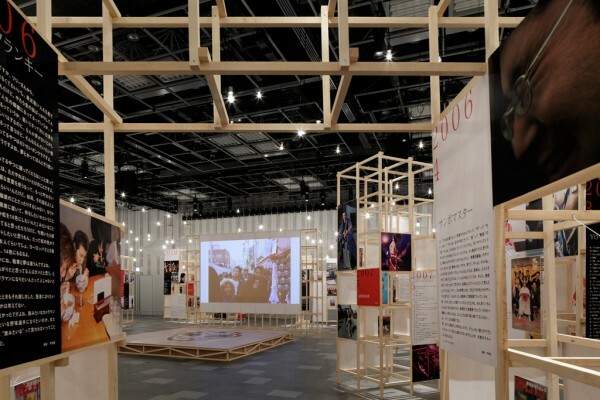 First, we erected wooden frame structures of varying shapes, which evoke the kind of outdoor music festival venues that have now become common during spring and summer in Japan. 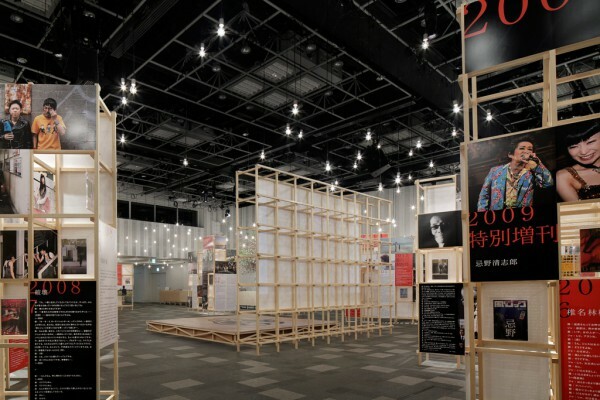 Then, sheets featuring pictures and text from the magazine were fitted on the wooden grid formed by each structure, which have been organized according to the year of publication. 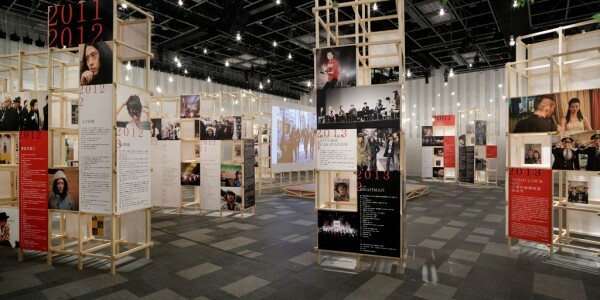 The result can be taken in by visitors as they move about the venue since it forms a continuous and seamless montage of excerpts taken from long interviews interweaved with a large trove of photographs that speaks directly to them. 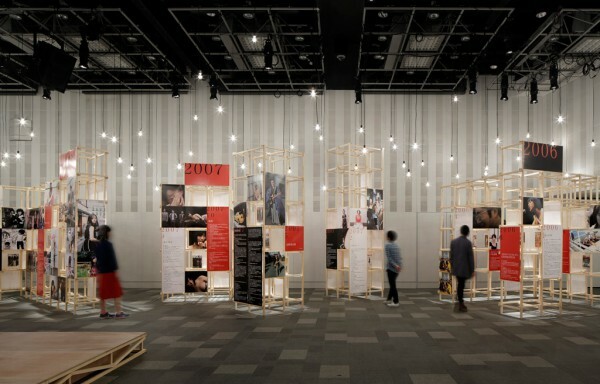 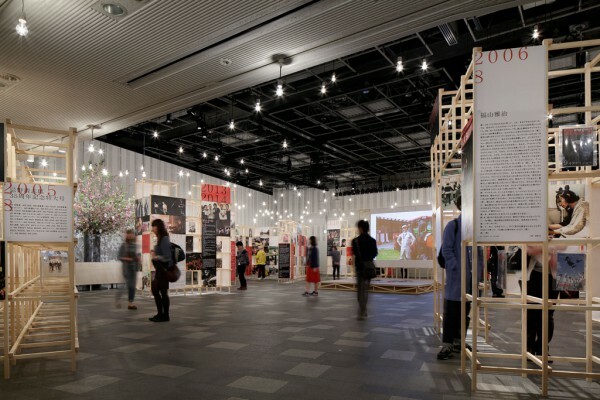 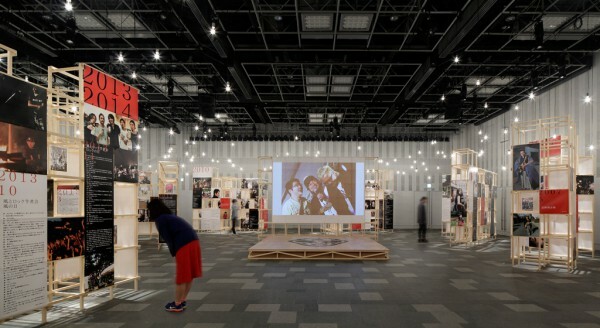 Since talking events are held almost daily during the exhibition, a stage and a screen made from the same wooden frame as the surrounding structures have been assembled at the center of the venue, thus creating a festive atmosphere for the100th issue of the magazine. 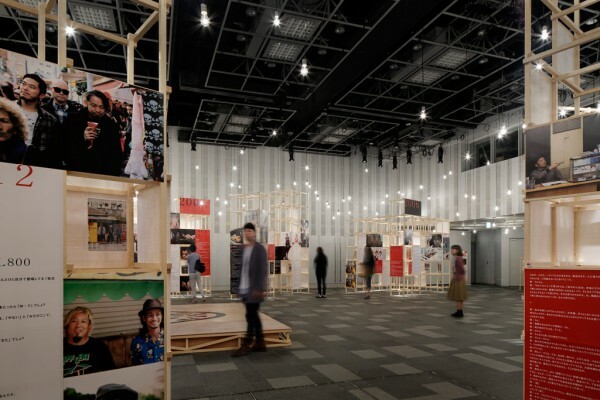 We sought to create a site with a flair for happenings brimming with a feeling of immediacy where visitors can experience a sense of unity as if they were on the grounds of a live show.